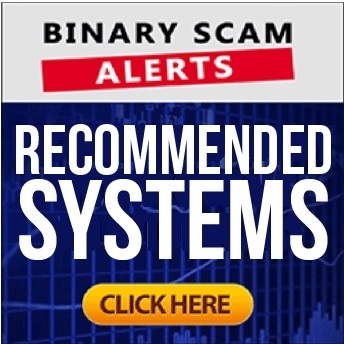 Binary Scam Alerts » Scam Reviews,Tesler App » Tesler App Review, How Does The Tesler SCAM Work? 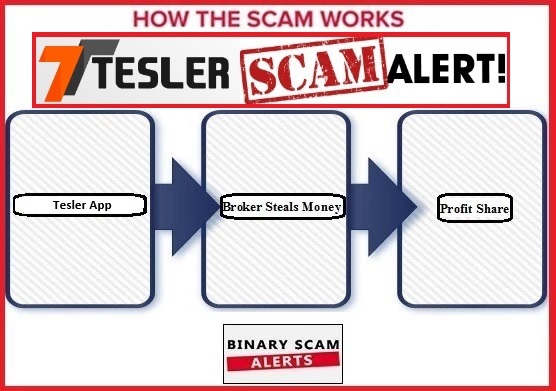 In our previous Tesler App software review we have already proven that the this fake trading robot by Steven Abrahams CEO of Tesler Investments is a blacklisted SCAM. However, in this followup review we will explain how the scam works, who the people behind it are, and also attempt to explore the money trail. In this unique and revealing article we will look at the various components of the SCAM and try to connect the dots and understand how it works. We will examine the operational as well as financial aspects related to this fake app and auto-trader, and try to poke and prod at the various weak spots to see if we can rattle the cage and make some noise. Hopefully the snakes will come out of hiding as accusations, finger-pointing, and muckraking will start to peel away the layers of deception and fraud. Steven Abrahams is the alleged CEO of Tesler Investments and in reality an actor. We have not been able to find out his real identity, but we are constantly looking. The Tesler App is an automated trading tool that was created by Abrahams. It’s supposed to generate “life-changing” profits for new and inexperienced traders that have just entered the online trading scene. The scam works by enticing potential customers into opening and funding new trading accounts. It uses the usual baiting techniques such as hyped-up claims, fake testimonials, inflated bank accounts, and stolen images. After signing, up the trader (that’s you) is directed to fund a trading account through the cashier section of the software. Once that is done the money is stolen and split between the broker and affiliates in what is referred to as a revenue or profit share scheme. The diagram below illustrates the process and how the money is actually stolen. From an operational aspect what’s needed is a processing company to accept the payment, and a bank to transfer the money. No one ever talks about these people, but governments and law enforcement agencies know that these are the real culprits. These are very shady bankers and credit card processing companies that charge exorbitant fees for accepting stolen money and moving it around. It’s no secret that the SEC and Europol have been monitoring the activities of certain banks. The recent exposure of the Panama Papers and a recent Swiss banker that was jailed represent the tip of the iceberg in a large fraud ring which is directly related to embezzlement, tax evasion, and money laundering of funds illegally obtained from financial scams just like the Tesler App. As the day progresses more grievances start to emerge and the picture is looking very grim. We anticipated a certain amount of complaints to arrive, but this is highly irregular and beats the lot hands down. The Royce Code and Millionaire Blueprint are constantly getting complaints these days. If you are looking for a legit trading app and not quite sure how to get started, join the club! We have tested a variety of apps and while most of them fail the most basic credibility tests, there are a few that perform and these are all displayed in our recommended section. 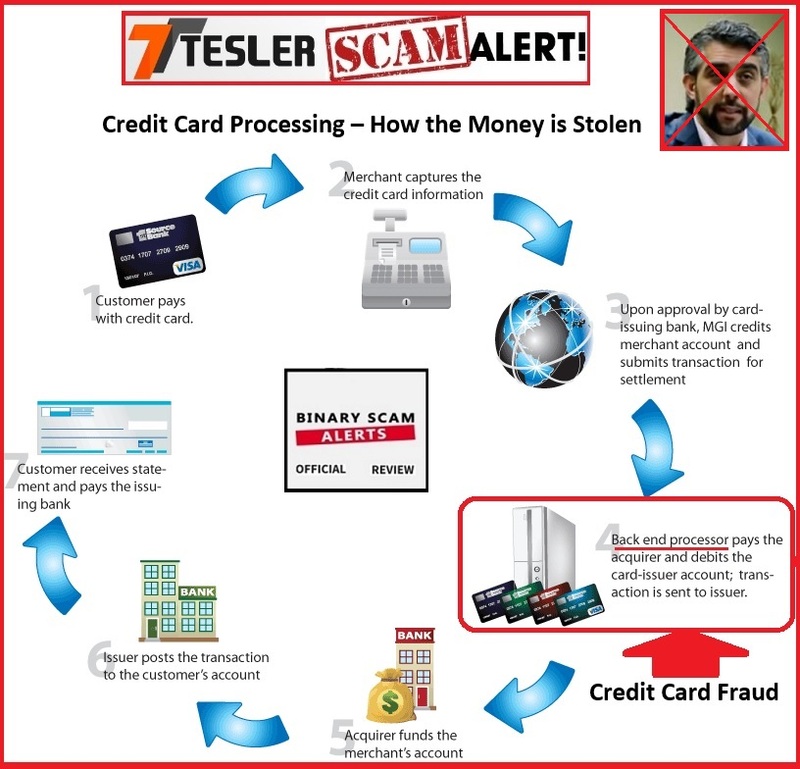 The Tesler App software by Steven Abrahams CEO of Tesler Investments is a SCAM trading robot and rightfully blacklisted in our impartial review and investigation. We have it from trusted sources that it is linked to a global fraud ring and managed by criminals with ties to the most dangerous cyber-fraud organizations. These organizations are insulated and compartmentalized, so we were not able to find out who the bankers are, but it doesn’t mean we will stop trying since that is the mandate which has been given to us by our members and subscribers. Check out our Facebook Group and YouTube Channel to get informed.